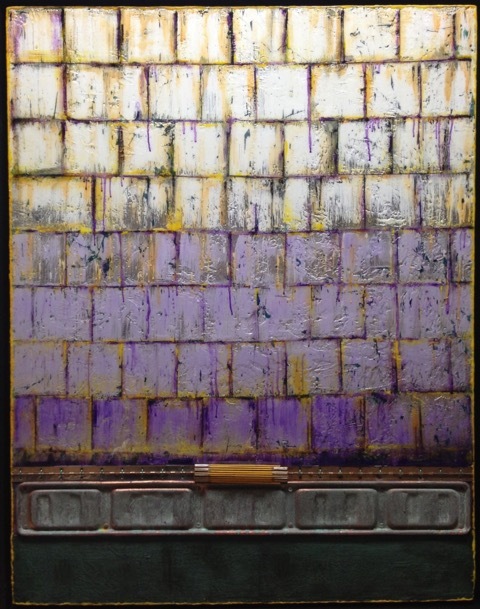 Michael is an encaustic mixed -media artist, creating both large and small paintings that often incorporate found objects, crystals, or recycled metal, thus giving a painting it’s “soul.” His unusual technique of painting with melted beeswax produces luscious, luminous colors, layered and highly textural, sometimes accented with metallic leaf or topped with high -gloss resin. His artworks have been featured on IMAX, HGTV and other televisions shows, as well as magazines Elle and Modern Luxury Interiors. His paintings can be found in several celebrity homes and collections worldwide. MICHAEL is an encaustic mixed -media artist, creating both large and small paintings that often incorporate found objects, crystals, or recycled metal, thus giving a painting it’s “soul.” His unusual technique of painting with melted beeswax produces luscious, luminous colors, layered and highly textural, sometimes accented with metallic leaf or topped with high-gloss resin. His artworks have been featured on IMAX, HGTV and other televisions shows, as well as magazines Elle and Modern Luxury Interiors. His paintings can be found in multiple celebrity homes and collections worldwide. Maybe Someday, Encaustic,,Vintage Air Pressure Gauge,Vintage Transistor Radio Parts, Found Metal, Wood ,Copper and Gold Leaf, Oil Glaze, Burlap, Resin, 44 x 45 Inches (Framed) $4950. 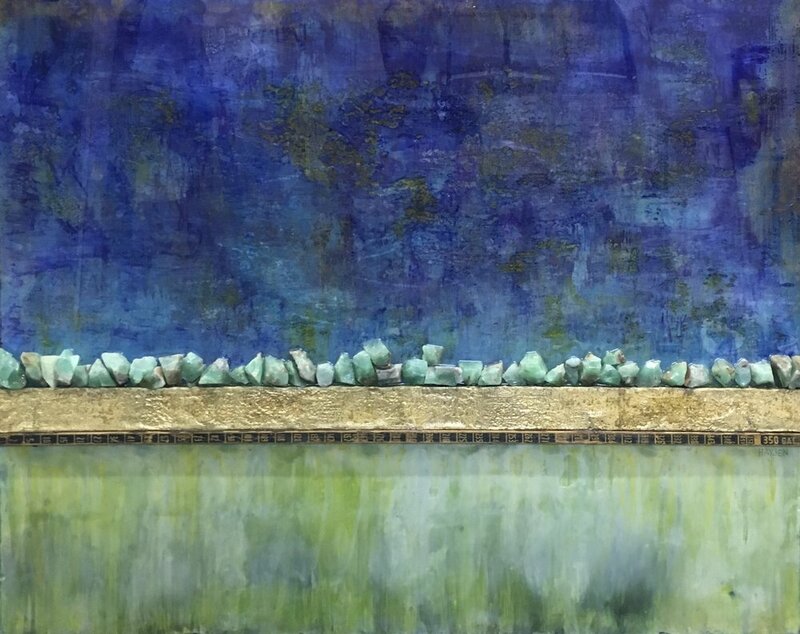 Empty Garden, Encaustic, Salvaged Car Part, Vintage Ruler, Vintage Hinge, Silver Leaf, Oil Pastel, Burlap, Resin, 60 1/2 x 47 1/2 Inches (Framed) $7500.